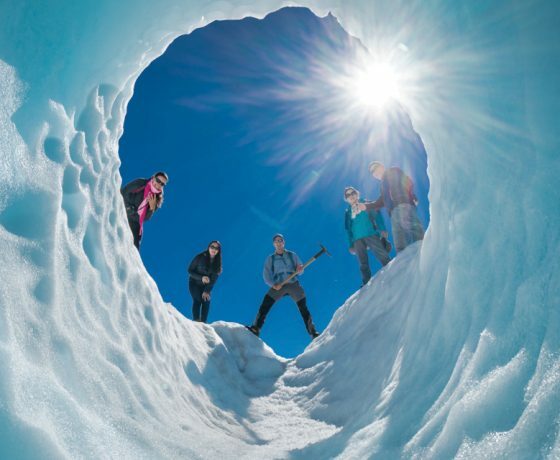 Alpine Guides is New Zealand’s longest established mountain and ski guiding company (since 1966), with a year-round base in Aoraki/Mount Cook National Park, giving unparalleled access to this incredible area.and a fantastic alpine mountain playground of the Southern Alps. 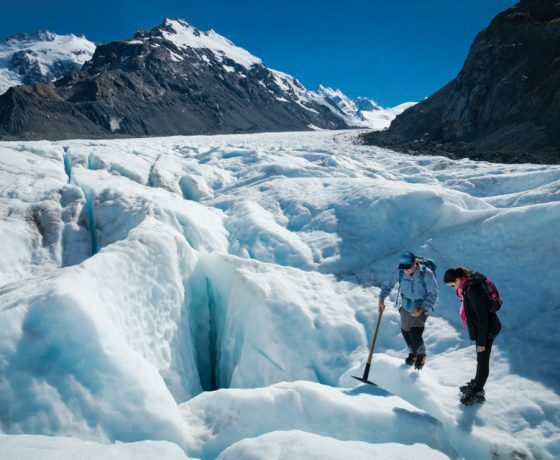 Aoraki Mount Cook region offers some of the most spectacular alpine scenery in the South Island of New Zealand. 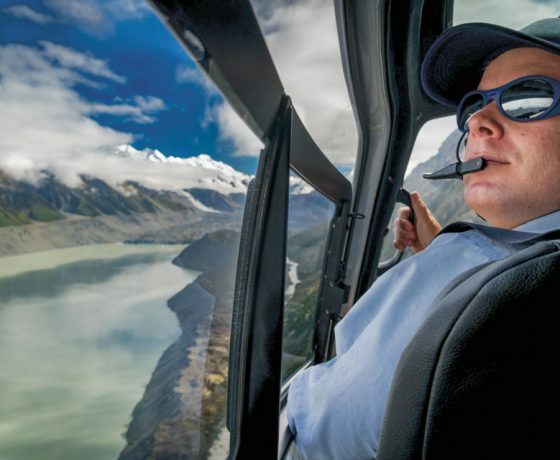 Alpine guides operate all year round operating their helicopter & glacier hike guided trips and during winter they combine 2 awesome scenic helicopter flights with a guided snowshoe hike across the snowy mountain landscape, You will be amazed by the uninterrupted 360-degree views and enjoy the incredible experience of being on a mountain. 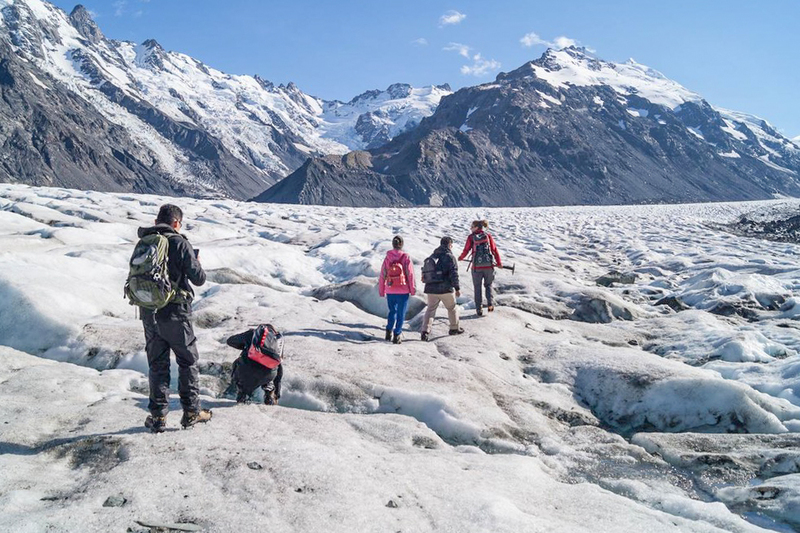 Our highest adventure for glacier explorers is a journey across the vast névé – the source – of the Tasman Glacier (Huapapa) to a pickup point on the hard ice. 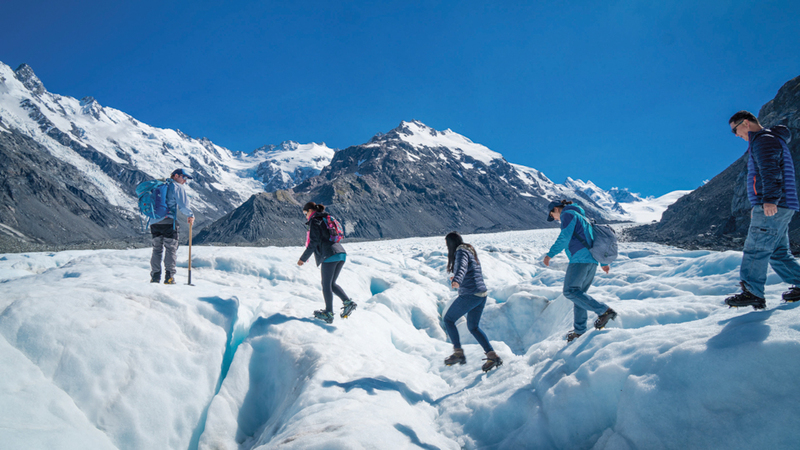 This is the realm of the mountaineer, surrounded by the highest, most dramatic ice-clad peaks of the Southern Alps. 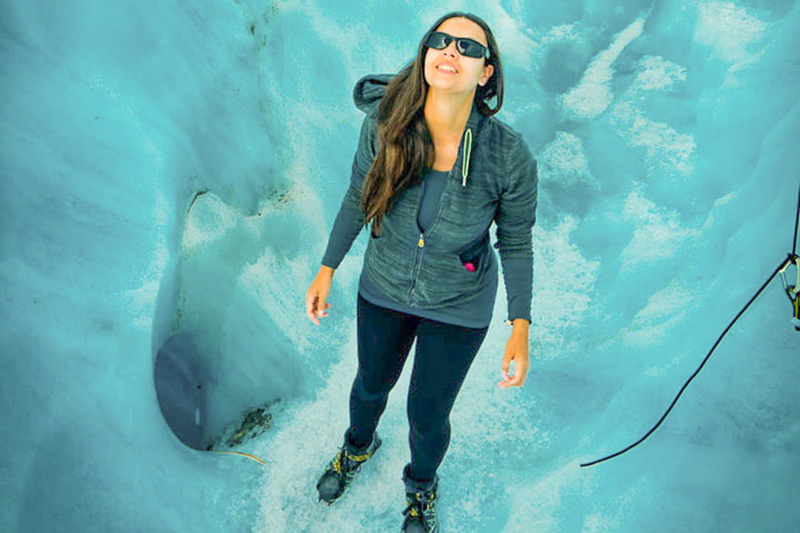 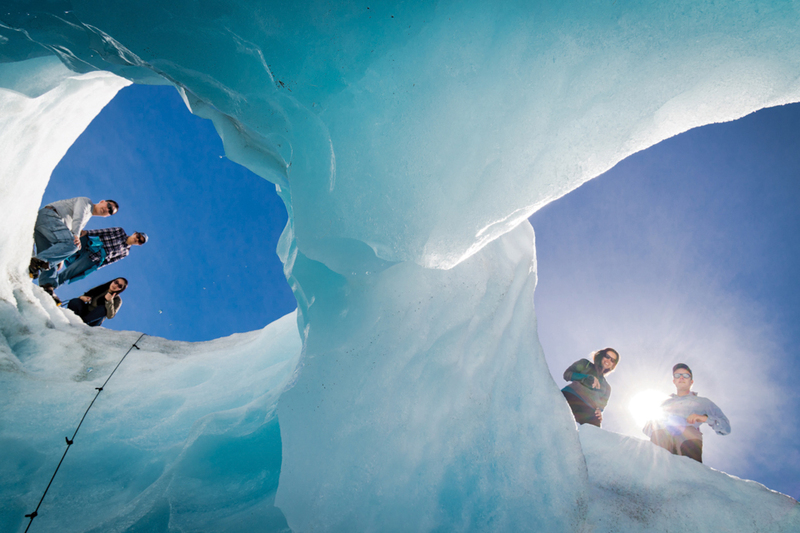 You will rope together for glacier travel and safely move on snowshoes, or crampons into the heart of the glacier. 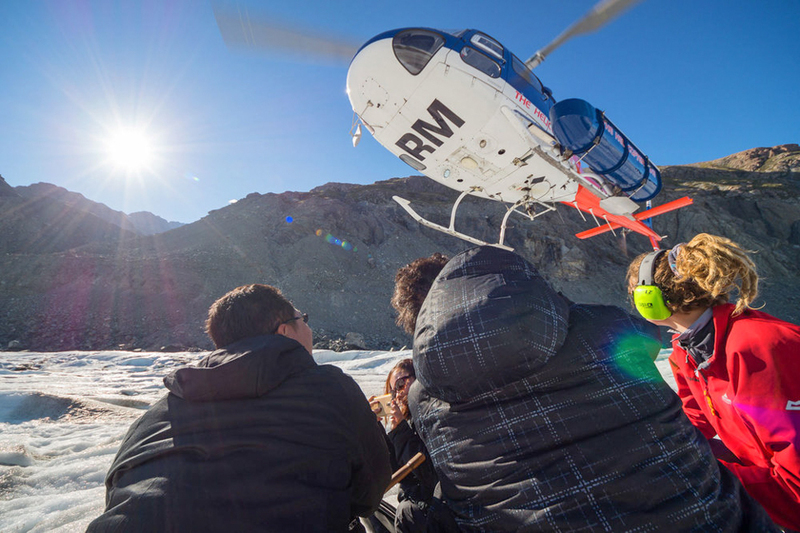 The guided Neve Adventure trip starts with an awesome helicopter flight before descending on to a snowy mountaintop at up to 2,400 metres. 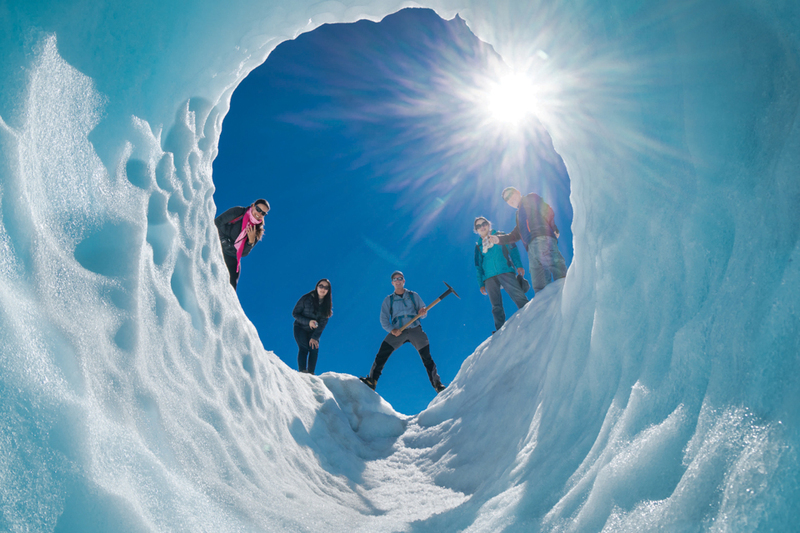 It’s the most exciting adventure at Mount Cook for non-skiers. 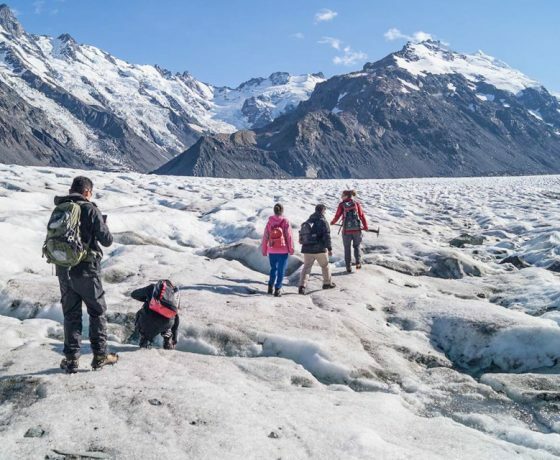 As you hike and explore you will soak in the natural silence and amazing views across the Mackenzie Basin – from the azure lakes to the giants of the Southern Alps. 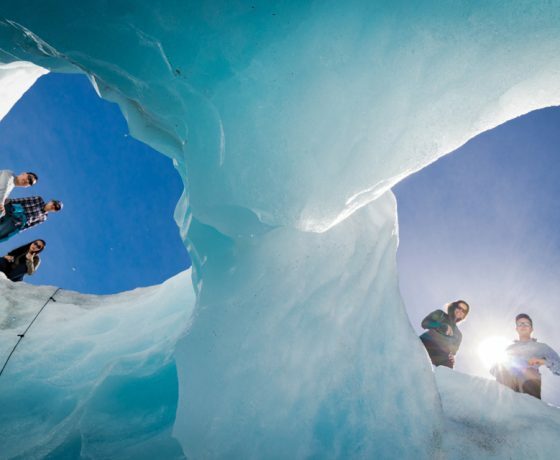 The view from the top of the Tasman Glacier is unparalleled. 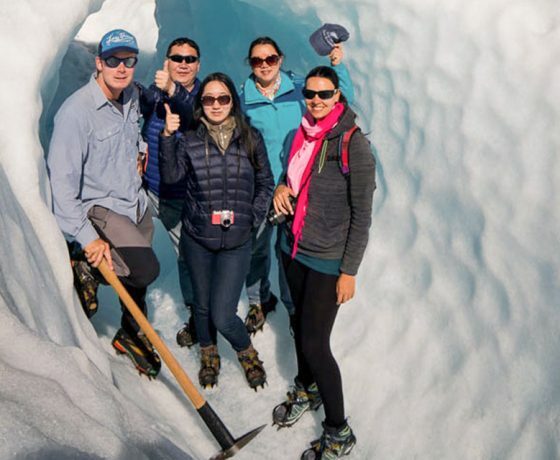 Surrounded in a bowl of icy blue glaciers, as you work your way amongst the ice, you’ll likely see some icefalls tumbling in the distance. 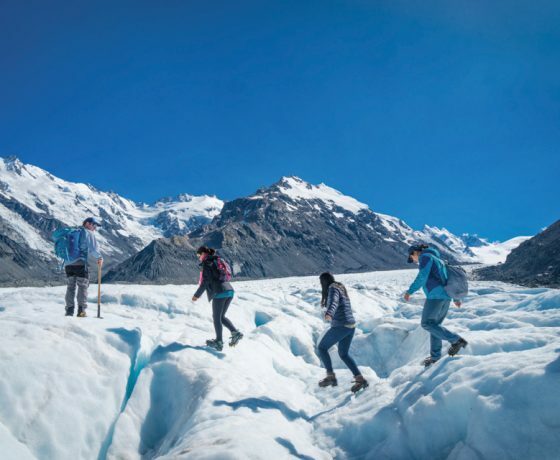 With the mighty Aoraki/Mt Cook above as you snowshoe your way around, you really feel like you’re experiencing a special and unique part of New Zealand that was once only open to exceptional mountaineers. 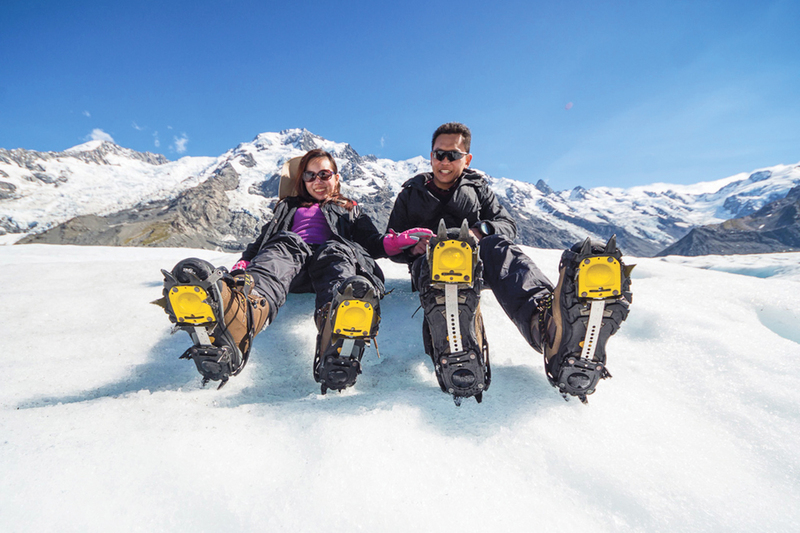 Snowshoeing or crampons is for anyone who can walk confidently off the ‘beaten track’ and can bring a sense of adventure!. 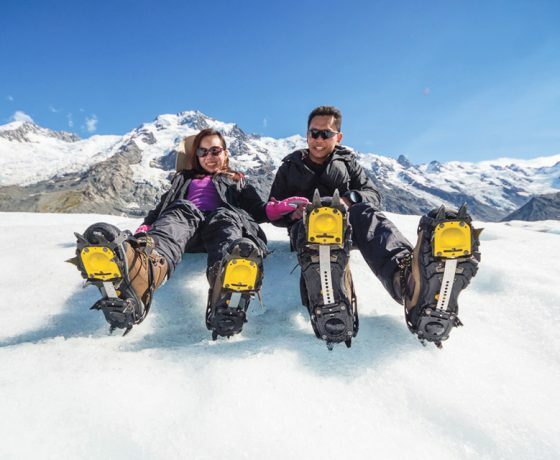 Modern, lightweight snowshoes make walking easy and enjoyable. 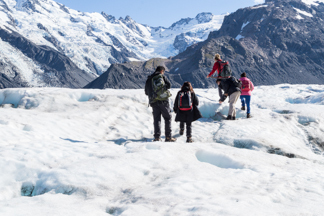 Your guide will lead you over snowy plateaus and rolling terrain where you may want to build a snowman, or simply take in the pristine air of this unique adventure. 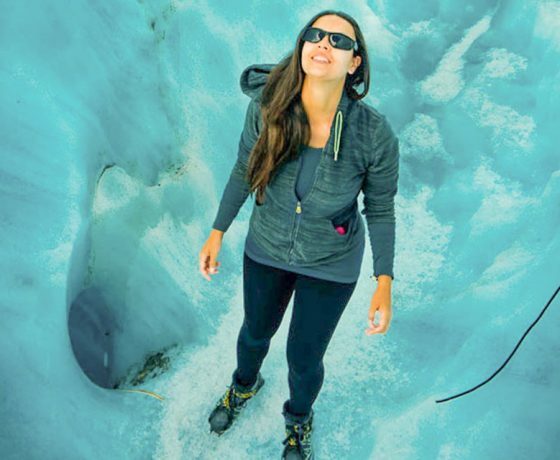 The pace is relaxed, with plenty of time to enjoy being in the mountains. We have more than 6 stunning hiking locations, all with amazing views. 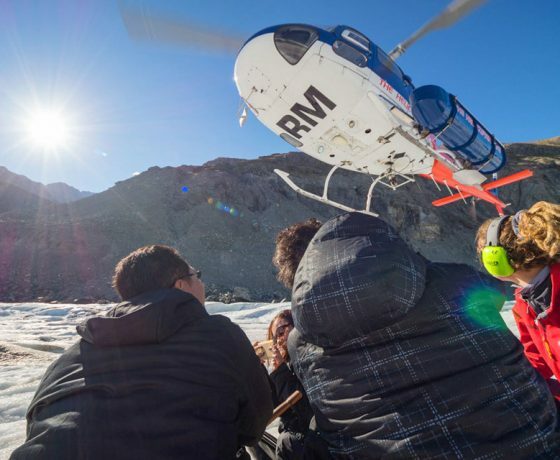 This allows us to operate on most days, and to seek out fresh tracks. 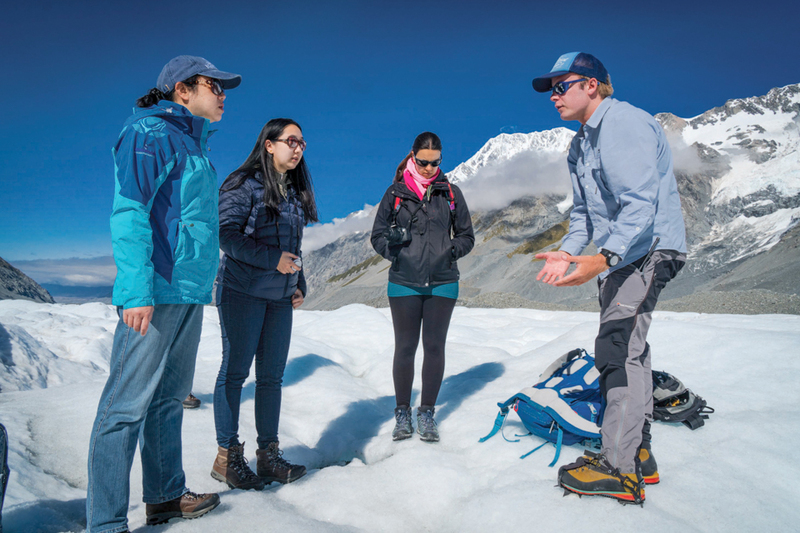 The site chosen each day is selected by guides and pilots – based on the weather, snow quality and safety. 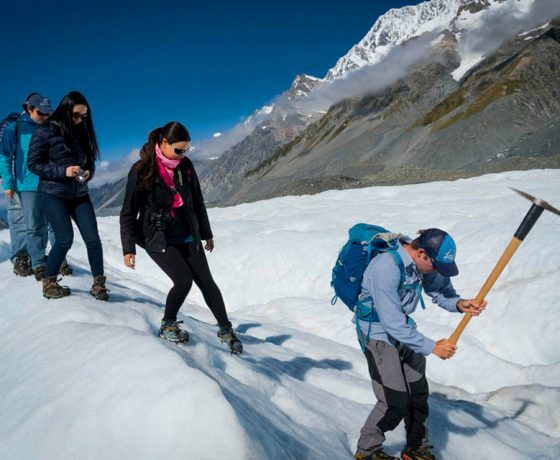 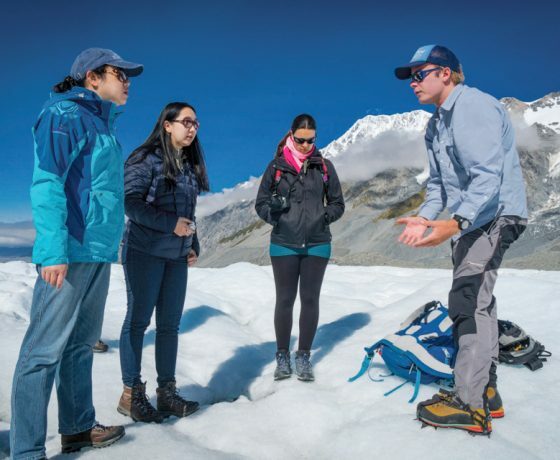 Hike and explore the ‘white ice’ of New Zealand’s longest glacier at Aoraki Mount Cook. 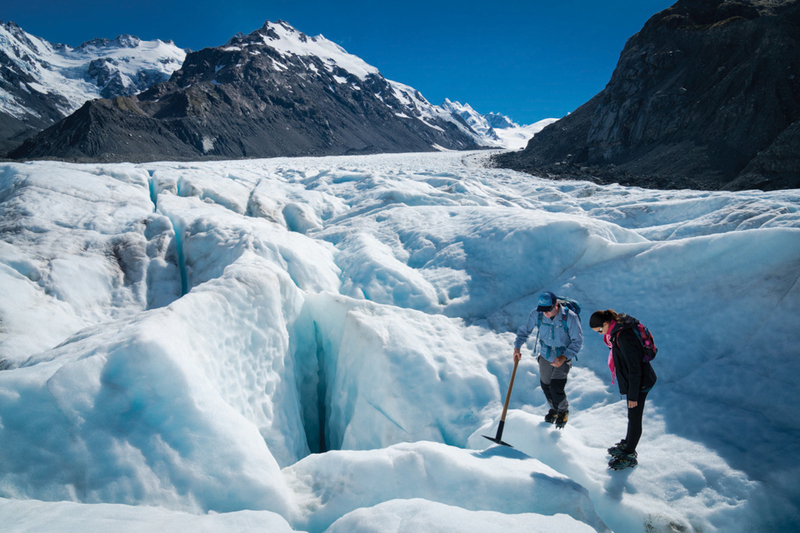 Heli-hiking on the Tasman Glacier offers easy access to the realm of the mountaineer. 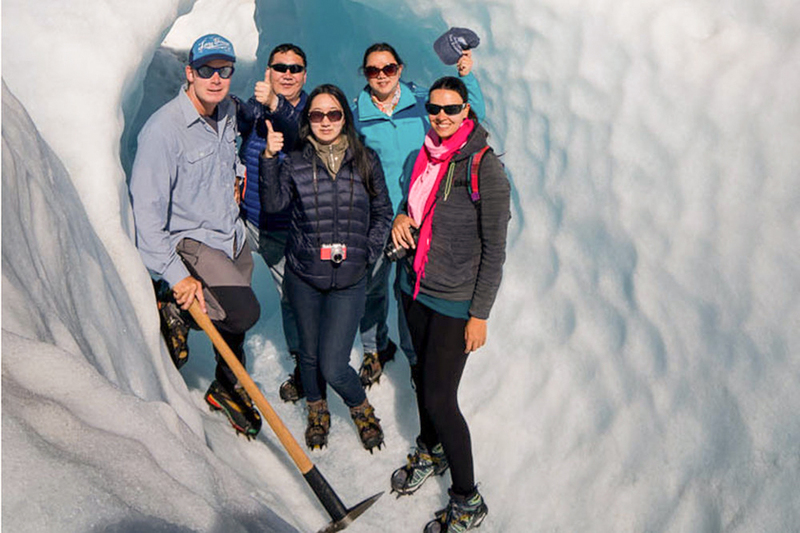 With your mountain guide, you will fly high onto the “white ice” of New Zealand’s longest and largest glacier – the mighty Tasman (Huapapa). 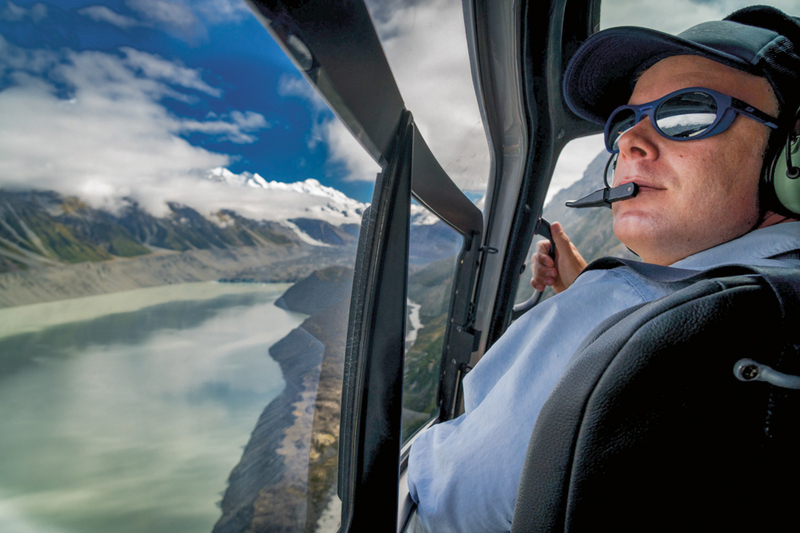 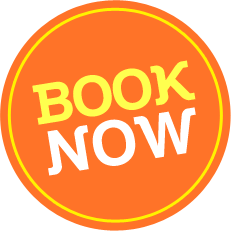 Your adventure starts when we meet at Mount Cook Airport, provide a safety briefing, and check equipment – then embark on a thrilling helicopter flight into the mountains. 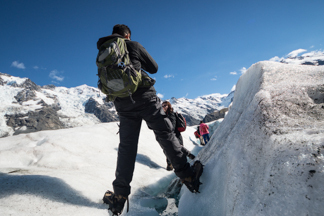 This guided interpretative trek is on an amazing landscape of fluted ice, runnels, moulins, and sinuous winding streamlets. 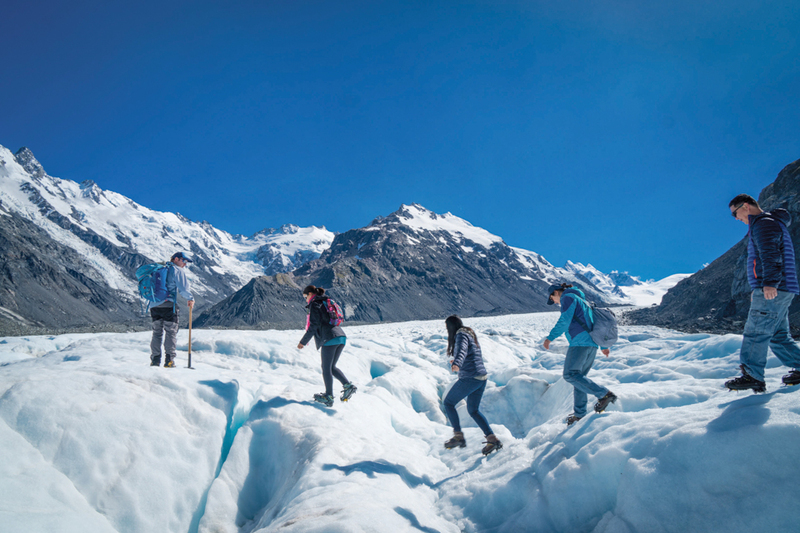 You will explore the gently undulating terrain, as your crampons bite into ancient ice. 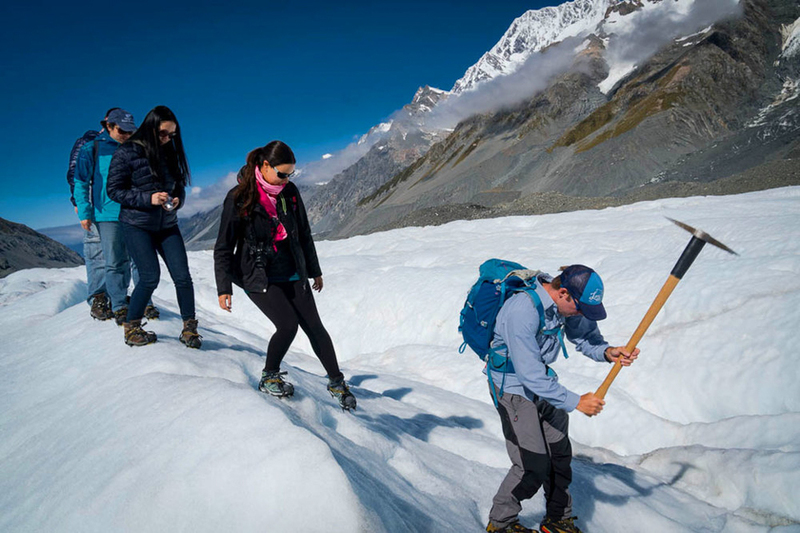 The highest peaks of the Southern Alps, Aoraki Mount Cook and Mount Tasman, tower above. 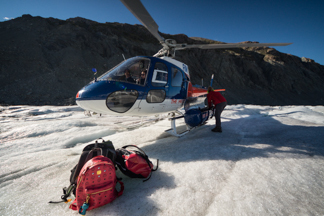 Your helicopter returns you safely to Mt Cook Airport, flying close to the massive 1,000 metre high (3,200 feet) Hochstetter Icefall to finish your incredible adventure.